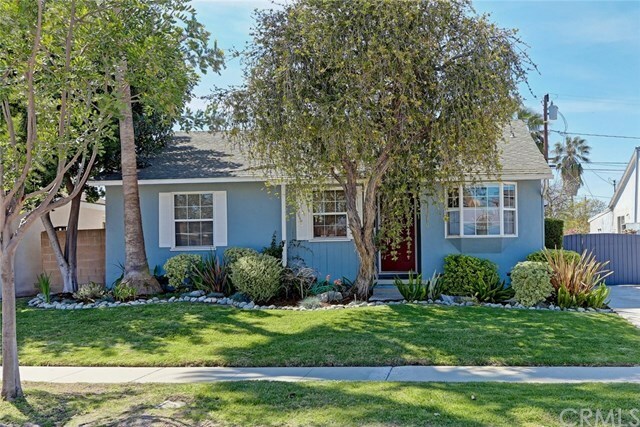 Charming well maintained single family in Bodger Park/ El Camino Village! Spacious home with approx 1950 sq ft of living, 4 beds 2 baths, wood fireplace and detached 2 car garage. There are well maintained hardwood oak floors throughout, copper plumbing, double pane windows and a water filtration system. The home has a terrific flowing floorplan with a oversized dining and sitting area which leads to the step down family room with cozy fireplace and tons of windows for light! The kitchen has newer appliances a 6 burner stainless stove, dishwasher and new bamboo hardwood floors. The second bath has been updated with new Lav, WC and subway tiled shower with glass enclosure. There is a large laundry area with its own sink and plenty of storage. The upstairs oversized bedroom can be a master, or fun kids room/play room/ exercise room or flex room....you decide. The grassy backyard boasts mature fruit and avocado trees for shade (or a hammock) and almost always has nice cool breezes. This is a wonderful home in a lovely tree lined neighborhood! A must see! Selling Office: Real Estate Ebroker Inc.